Baimos Technologies with its exceptional mobile key has been recognized by another car manufacturer. 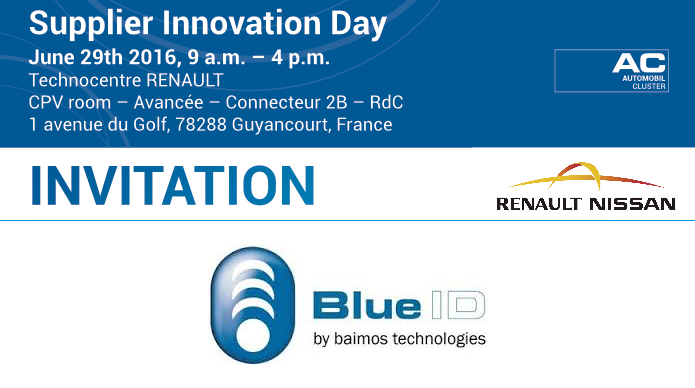 This Wednesday, Baimos will be showing their technology at a Renault Nissan Supplier Innovation Day at the Technocentre RENAULT in Guyancourt, France. The demo car will be there as well which will pose a great opportunity to see BlueID in action! Our team at Intergoup Partners is proud to help Baimos with IoT lead generation.